I've been doing free-motion "loop-d-loops" on my quilts for some time. 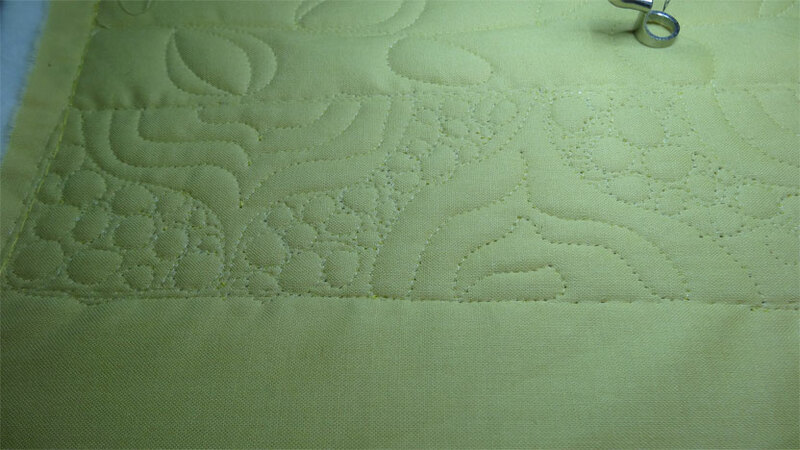 As much as I love doing that, it's high time I got on with coming up with some other patterns to use. 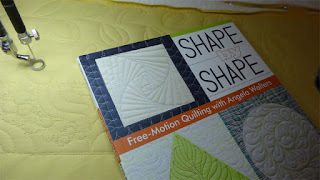 Well - I found two great books: "Shape By Shape" and "Shape by Shape Collection 2" by Angela Walters. Each book has more than 70 different stitching patterns, with easy-to-follow directions and lots of sample photos. One of the things she recommends is to try drawing out the design you want with a pencil and paper (or, as I've done, with a whiteboard and marker). It helps a lot to work out the motions associated with the patterns - and I found even simple patterns can be more challenging than you expect when you start out. Much, MUCH better to make mistakes on a whiteboard. 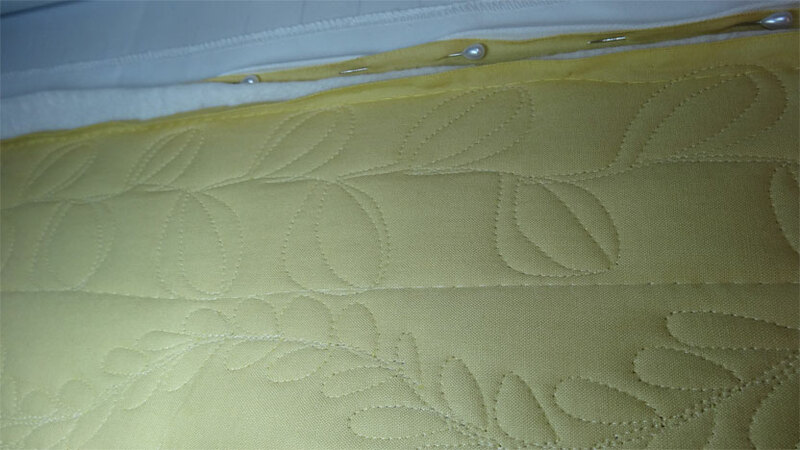 Next I grabbed some scraps of fabric and batting and set up a small practice sandwich to mount on the longarm. And away I go! 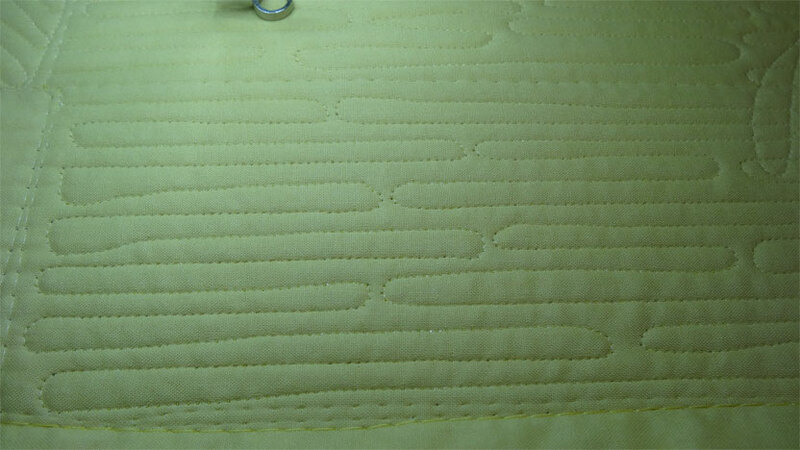 These wavy lines were fun to do - but, as you can see, keeping the lines straight wasn't all that easy. I had better luck with the patterns below, especially the wavy feathers on the bottom. Here's one (below) that didn't work out quite so well. I'll have to practice that one quite a bit, I think. The sample in Angela's book looks terrific. I'm sure I can refine my technique if I keep working on it. It's great fun trying out these patterns. I hope to be able to use some of them on projects very soon! 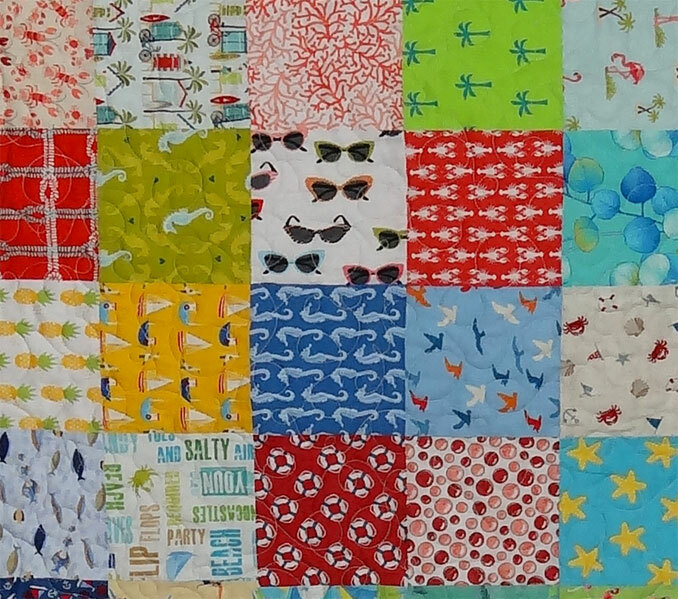 Quilt 92: Florida Surf 'n Sun Charm Squares - DONE! 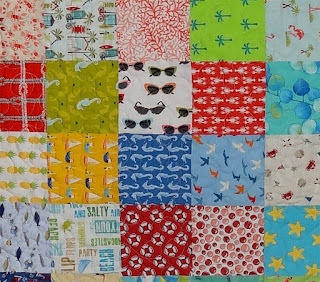 Last September I visited cousins in Florida and, of course, just had to visit my favorite US quilt shop! I picked up three packets of charm squares - and just finished a quilt with one of them. 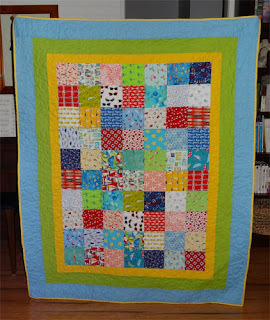 This was the first quilt where I tried that "hide the thread" trick I found online (if you missed that post - click here to see it). 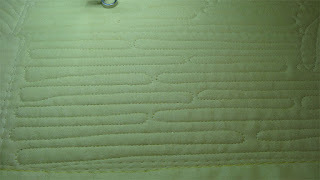 It worked like a charm - very quick and easy - and the thread stop/starts really look much better. One refinement I came up with is to have the needle coming out of the sandwich where there's some stitching (as you see in the photo below). Doing that, you don't end up leaving a needle mark in an unstitched area (which might be difficult to rub out in finer fabrics). 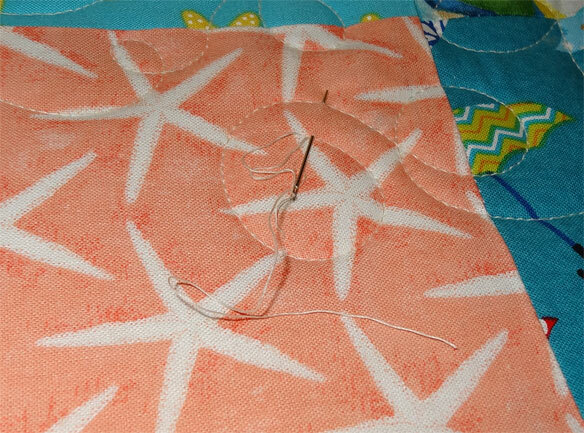 Using this technique in places where the upper thread has broken (or the bobbin ran out) is a little more work - as you have to pick out a few stitches in order to get enough thread to run through the needle - but it's worth it. SOOOOOO much cleaner finish!